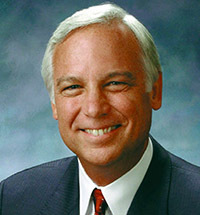 Jack Canfield is the founder and co-creator of the New York Times #1 best-selling book series Chicken Soup for the Soul. With more than 80 titles in print and over 80 million copies sold in 39 languages, Canfield is a world-renowned expert at warming hearts and changing lives. But behind the empire Time magazine called the “publishing phenomenon of the decade” is America’s leading expert in creating peak performance for entrepreneurs, corporate leaders, managers, sales professionals, corporate employees and educators. Canfield knows how to accelerate the personal achievement and career fulfillment of workgroups and individuals everywhere. He is a compelling, empowering and compassionate coach who has helped hundreds of thousands of individuals achieve their dreams. Canfield’s book The Success Principles: How to Get From Where You Are to Where You Want to Be contains 64 powerful principles of success utilized by top achievers from all walks of life and all areas of commerce. His latest book is You’ve Got to Read This Book! 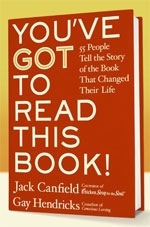 55 People Tell the Story of the Book that Changed Their Life. Canfield is the CEO of Chicken Soup for the Soul Enterprises, an empire that encompasses licensing, merchandising and publishing activities around the globe. His nationally syndicated newspaper column is read in 150 papers worldwide, and the Chicken Soup for the Soul® radio show is syndicated throughout North America. Chicken Soup for the Soul® was a featured television program for both the PAX and ABC networks. And the company’s licensing division produces dozens of top-selling items including Chicken Soup for the Soul® nutriceuticals, pet foods, greetings cards, music, collectibles, and other licensed merchandise. Canfield’s background includes a BA from Harvard University, a Masters degree in Psychological Education from the University of Massachusetts and an Honorary Doctorate in Human Behavior from the University of Santa Monica. For the past 30 years, he has been a psychotherapist, an educational consultant, and a leading authority in the areas of self-esteem, achievement motivation and peak performance. Canfield has appeared on over 600 radio shows and 200 television shows including Oprah, 20/20, Inside Edition, The Today Show, Fox and Friends, CBS Evening News, NBC Nightly News, Eye to Eye, CNN’s Talk Back Live!, PBS, QVC, and many others. He’s addressed countless audiences internationally, sharing his success strategies with companies, universities, and professional associations in over 20 countries.